Last week I have written a blog post about how to solve a mysterious Experience Editor error "An error occurred". This time I have again stumbled upon a similar error in experience editor (Sitecore 8.1 update 3). A serious error occurred please contact the administrator. 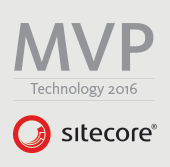 Exception 2 was related to Sitecore Content Testing. We were not using Sitecore Content Testing and disabled all the App_Config\Include\ContentTesting\*.config files. After troubleshooting, I found that Content Testing related features are not completely disabled by disabling config files. I was able to disable content testing completely by disabling InjectOptimizationViewMode.js file. To disable js file, navigate to the \Website\sitecore\shell\client\Sitecore\ExperienceEditor\Pipelines\InitializePageEdit folder, and change the InjectOptimizationViewMode.js file extension to .disabled. I hope this blog post is helpful to some of you and save few minutes of troubleshooting. If this solution doesn’t help you then make sure to check out other blogs/SO posts related to this error as there can be other reasons for this “A serious error occurred please contact the administrator” error. Comments and suggestions are most welcome. Happy coding!